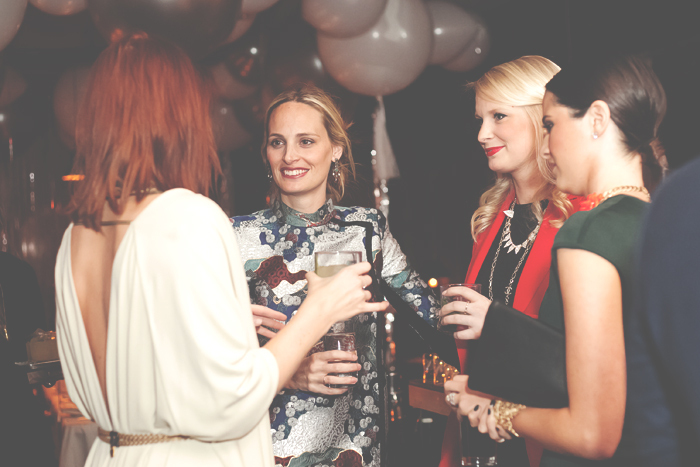 So much fun chatting with Lauren Santo Domingo at the Moda Operandi + rewardStyle Top 25 Dinner at ACME! 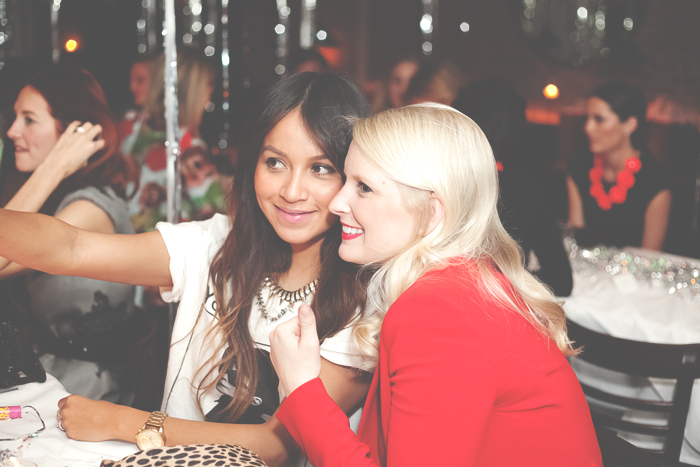 Not to mention I was seated directly across from Taylor Tomasi-Hill and Blair Eadie – such a fun night! Great food too. Jumped across the table to play with Sincerely Jules. She’s such a rockstar. 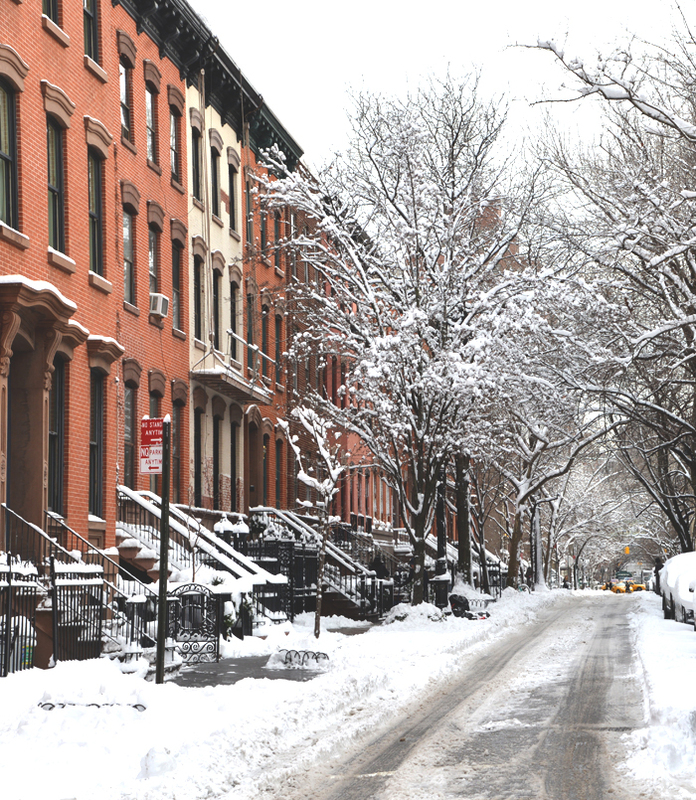 The snowy tundra that is New York – thanks to Nemo for a winter wonderland! 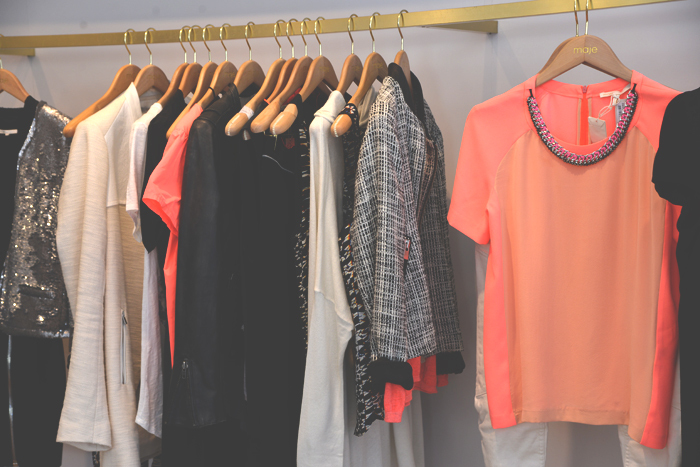 Loving all that is Maje right now – this neon pink + orange top is so fabulous and would look great with white skinnies. The apartment I stayed in for fashion week was literally only one block away from Magnolia Bakery. 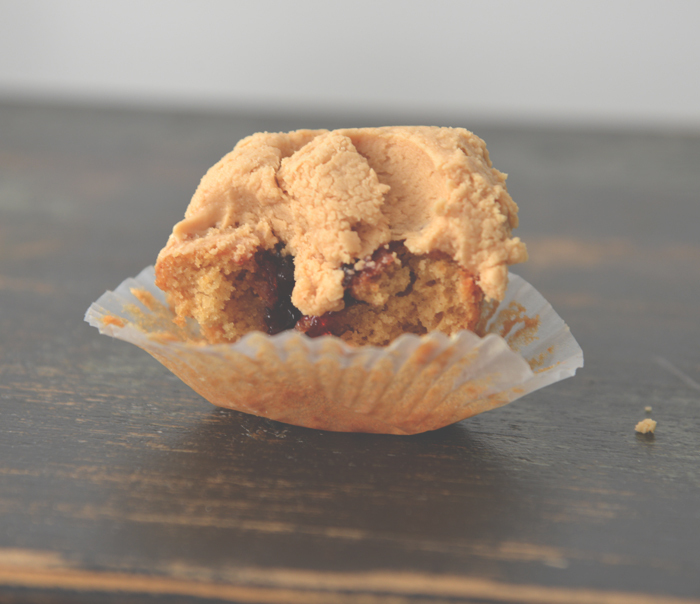 All cupcakes are delicious, but nothing beats this Peanut Butter & Jelly cupcake. Obsessed with my friend Lauren’s clutch by Khirma Eliazov. The designer creates stunning bags in exotics like python, crocodile and more in amazing color combos. Shop this bag and other gorgeous styles here!